Apple moved some of its marketing staff off other projects to focus on bolstering sales of the latest iPhone lineup in late October, around the time the iPhone XR launched, according to Bloomberg's Mark Gurman. The report cites an unnamed person familiar with the situation who described the move as a "fire drill" and "a possible admission that the devices may have been selling below some expectations," a concern shared by some analysts and investors. Apple's stock price has plunged nearly 17 percent since November 1. Apple is certainly marketing the latest iPhones more aggressively than in previous years. A banner at the top of its website advertises the iPhone XR "from $449," but with an asterisk, as that price requires trading in an iPhone 7 Plus for a $300 credit as part of a limited time promotion rarely seen from Apple. These concerns are nothing new following iPhone launch season, with the doom and gloom often fueled by weakening forecasts from iPhone suppliers. Cirrus Logic, a supplier of audio-related components for iPhones, expects its revenue for the current holiday season quarter to be around 16 percent lower than it originally forecasted due to "recent weaknesses in the smartphone market." While not named, Apple accounts for around 80 percent of Cirrus Logic's business. 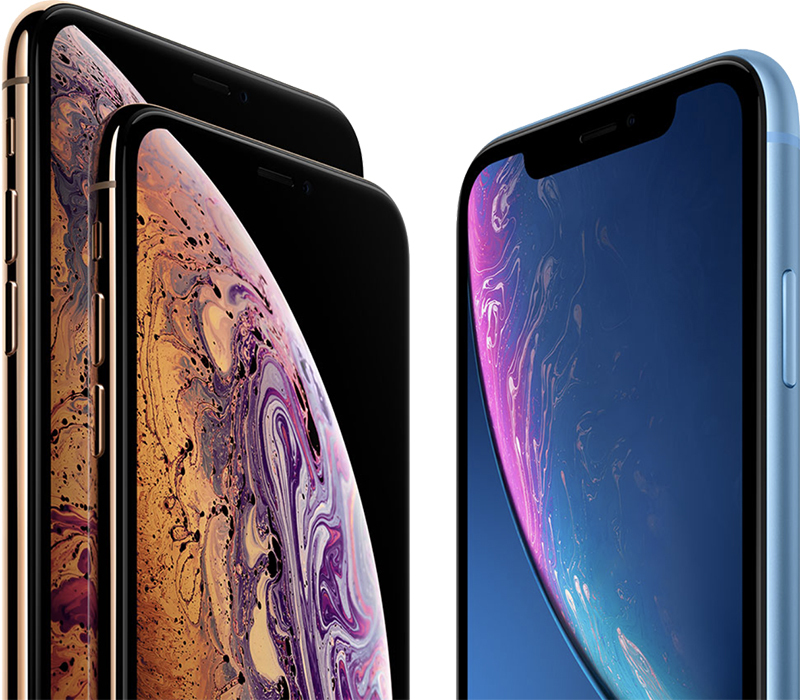 Making matters worse, The Wall Street Journal reported that Apple recently slashed production orders for the iPhone XS, iPhone XS Max, and iPhone XR due in part to "lower-than-expected demand." It certainly doesn't help that Apple recently announced that it will no longer disclose iPhone unit sales in its quarterly earnings results, leading some to believe that iPhone sales have peaked and Apple has something to hide. Apple's financial chief Luca Maestri said unit sales are "not particularly relevant for our company at this point," as they are "not necessarily representative of the underlying strength of our business." He did note that Apple may provide qualitative commentary if the info is valuable to investors. While there were similar concerns about the iPhone X, that device ultimately sold well, so time will tell whether these headlines are baseless again. However, analysts will now have to rely exclusively on iPhone revenue to gauge sales, so the situation will no longer be as transparent going forward. Apple has yet to announce a date for its next quarterly earnings report, but it will likely be released at the end of January. Apple expects revenue of between $89 billion and $93 billion, which would be an all-time company record. More proof... Apple should've just lowered the entry prices and this could've been avoided. Lower the effin' price and you wont need marketing people. Whoops! We made the iPhone 7, 7+, 8, 8+ and X too powerful. Now people are actually holding on to their phones for longer than 2 years. Better screw up the next update and make them slow so people are forced to upgrade! Regardless of what anyone says, Steven Jobs did work at Apple. He obviously affected something. Yes, he did pick Tim Cook at the time to be CEO; then again, he also picked Scott Forstall to run iOS. To say Apple still has the same magic as it with Steve, is to say Steve didn't do anything. Which we know is false. Apple was always expensive but justified. Now, they're increasing prices by 20% and offering less. The person running Apple's ship isn't a product-guy. I think it shows with this insane iPhone lineup, MacBook line-up etc., iMac's with 5400 RPM HDDs. Apple is about experience. Well, they used to be about it. It's past time for Tim Cook to move on to other adventures. Tim Cook has become the next John Sculley. Time for Tim to go. Tim Cook just isn't a visionary, he's all about the money and efficiency, no big picture. Just how can we make more money out of people. Apple products should be made by and lead by people who enjoy making the products themselves. Found this interesting too. Much more blunt, aggressive taglines. The price increases obviously don't help, but people just don't update their phones as often any more. It's getting harder and harder to sell people something which is only marginally better than what they have. He was 90% wrong, all we’ve gotten that’s magical are Airpods, mostly everything else is just catchup. Time for Apple to start taking risks.